I don't wear much jewelry and I don't take the time to accessorize in the morning so I like to have basics that I wear every day - my wedding and e-rings, my watch, a favorite necklace, etc. 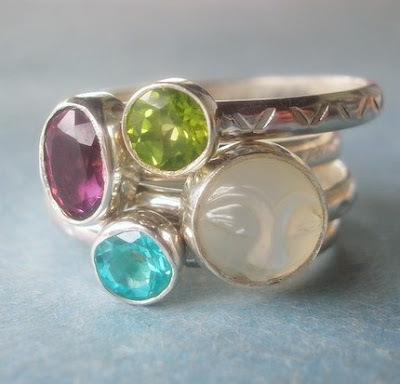 I have loved the idea of adding stacking rings to this repertoire since I first discovered Paloma Picasso's Sugar Stacks collection from Tiffany (which now come in sterling silver!). These are far a bit out of my price range. 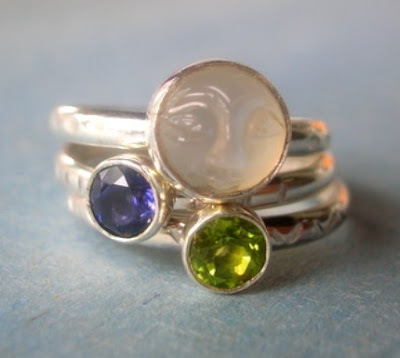 So, I did what any sensible, aspiring indie shopper would do, I etsy-surfed for stacking rings and I came across these gems (no pun intended) from onegarnetgirl. They are absolutely beautiful! 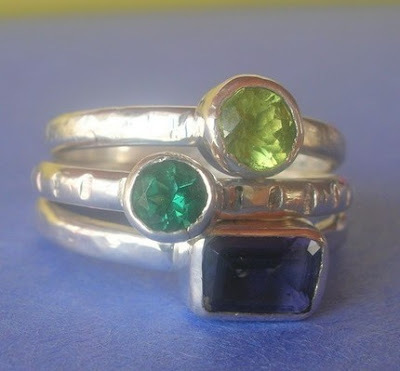 You can buy the rings separately or one of her many sets. I just had to share them! 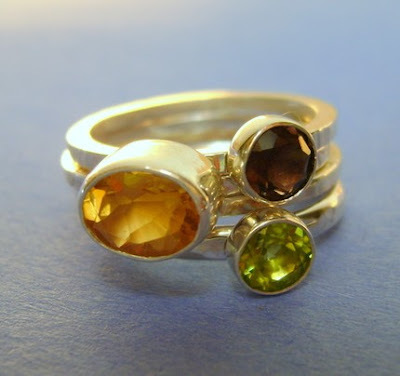 The stones are beautiful and I love the rough-hewn quality of the metalwork. 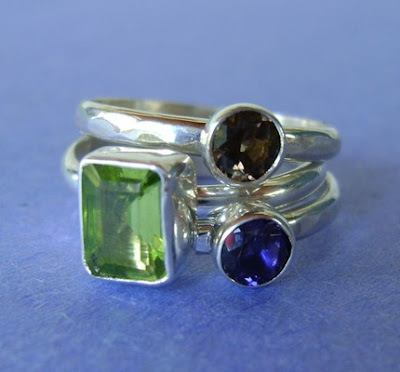 I think they would be a great Christmas or birthday gift, especially if you could work a set around someone's birthstone or do a family stack for a new mom - her birthstone, dad's birthstone and new baby's birthstone. Or, just treat yourself! those are beautiful! 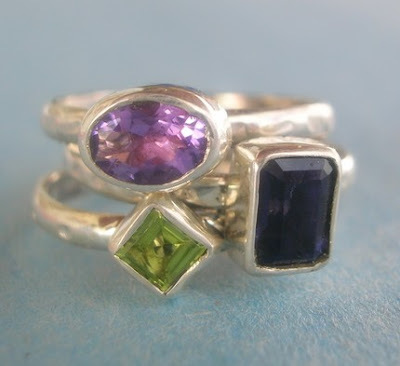 i love me a set of stacker rings. and i like your blog! i'll be back.